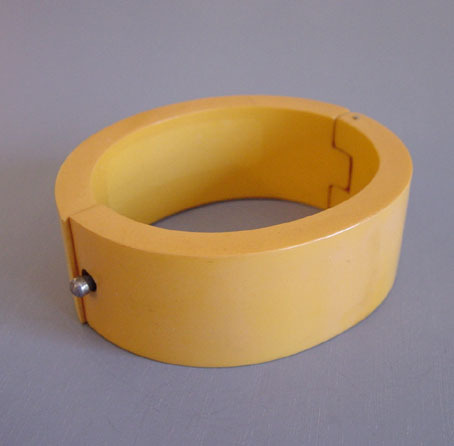 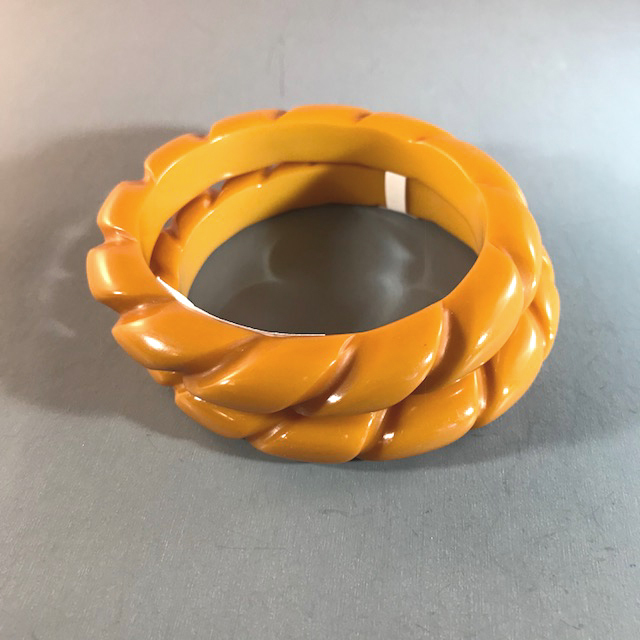 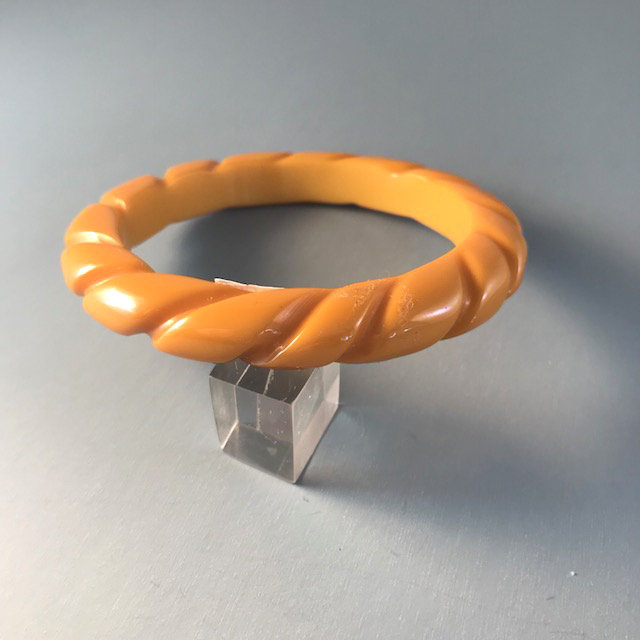 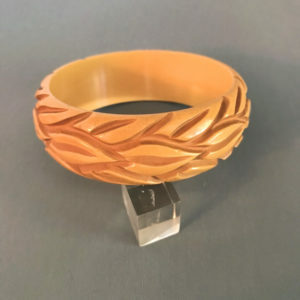 BAKELITE rope carved butterscotch bangle, fully carved all the way around, 2-1/2" by 1/2" by 1/3". 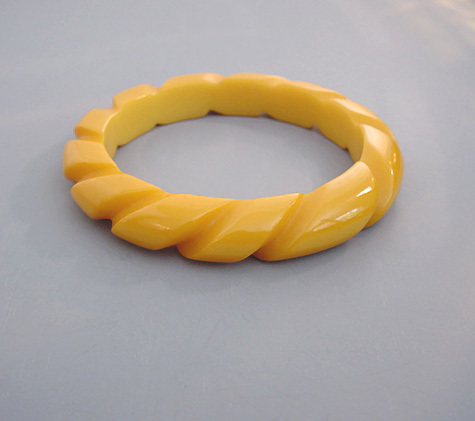 This has the nicest smoothly polished finish, circa 1940. 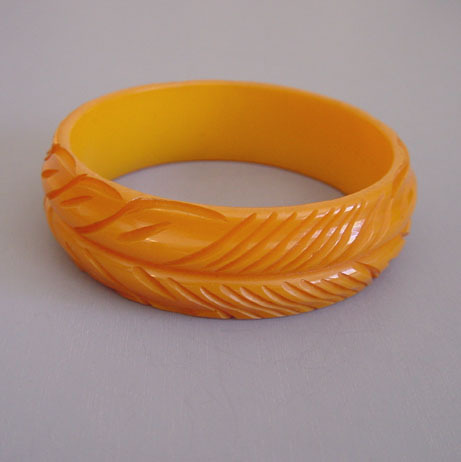 Rope carved bangles also look terrific when worn together, as the last photo shows. 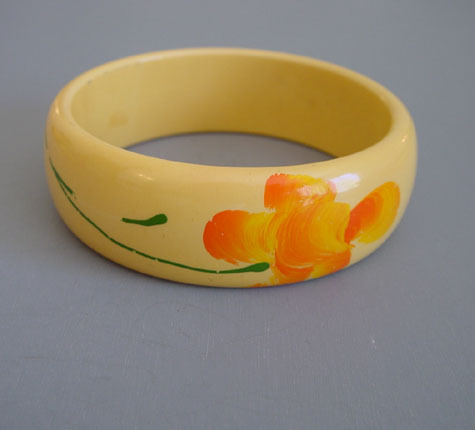 The price here is for one bangle.